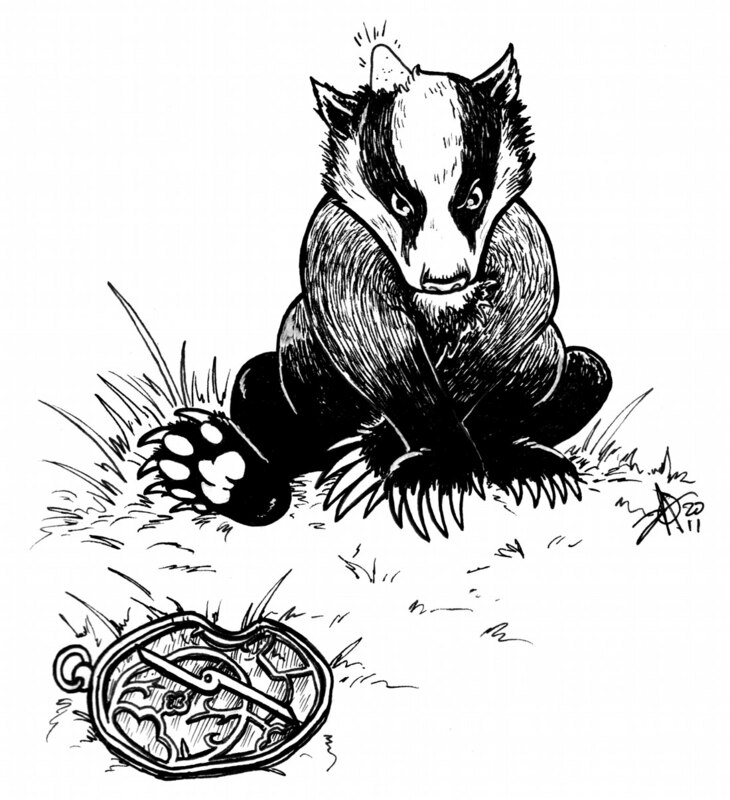 "We Threw the Astrolabe at a Badger ..."
We threw the astrolabe at a badger, but it was only stunned, and decamped. The second throw (at a hare) produced a better result, killing the target. We stewed and ate the hare. We are awarding 10 points for the hare, but only three for the badger. The most nimble of the judges was elected by the others to mount the weather vane on the roof, but as the day was clear and calm it could find no weather to point to. We were therefore unable to judge this entry. The shepherd's crook was very finely aligned, and in fact we used it to remove several perturbed jugglers from the performing-arts stage. Nice work! Unfortunately the judge testing the compass set out two days ago and has not yet returned, so we are unable to award any points. We disavow, as a tasteless brag, one judge's statement that he slipped a magnet into a pocket of the tester. The anvil was ruled authentic, weighty, and useful, but not an instrument. It was therefore disqualified from the competition. After some dissent to their eligibility as random-number generators, the submitted dice were thrown several times, with extremely consistent wins for the thrower. However, the losing judges – being in the majority – voted against awarding points for such dismal statistics. The balance worked perfectly, but the judge who is a butcher and the judge who is a moneylender agreed that such a balance would be useless in practice. Three points were deducted for this. We were unable to locate, and therefore unable to judge, the entry listed as "gizmo that converts lead into gold". The dowsing rod did not seem to work; it kept pointing to the area in which brewing was being judged — although we acknowledge that this may have reflected wishful thinking on the part of the judges. Thanks to JLD for a point. No badgers were injured in the production of this article.